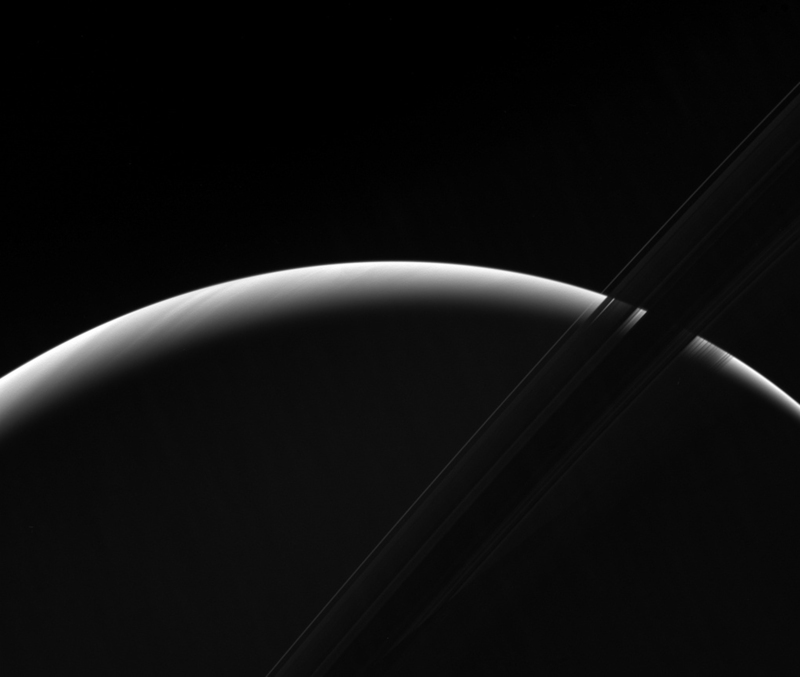 June 26, 2017 – NASA’s Cassini spacecraft peers toward a sliver of Saturn’s sunlit atmosphere while the icy rings stretch across the foreground as a dark band. This view looks toward the unilluminated side of the rings from about 7 degrees below the ring plane. The image was taken in green light with the Cassini spacecraft wide-angle camera on March 31, 2017. The view was obtained at a distance of approximately 620,000 miles (1 million kilometers) from Saturn. Image scale is 38 miles (61 kilometers) per pixel.